Is nursery better than speech therapy? In April M started pre-school nursery, something she has been desperate to do for the past 6 months!!! I was not worried about her settling in, she ran in and didn't look back when she went for her visit, and she constantly tried to run into nursery when we walked past. I was right not to worry as she ran off on her first day and hasn't looked back. I love her being at nursery as it allows her to get proper time to play and talk with peers her age. She does go swimming, dancing and gymnastic classes but the interaction is limited there. I am also keen for her to have time away from us so that she has the chance to work out what she likes to do, play with and learn without being influenced by us. I would love to think that we would have no bearing on what she likes and dislikes but I know I would be fooling myself to think that we don't influence her a fair bit without even realising it. What I did not expect was that on her return home from her first afternoon at nursery she had suddenly overcome all of the speech issues that we had been working on at speech therapy for the past few months. 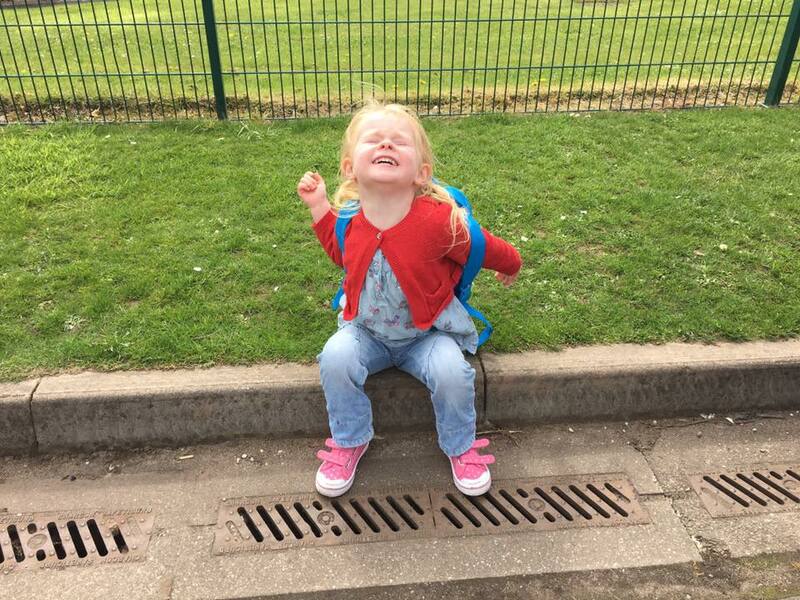 At each speech therapy lesson she would struggle with her sounds (she would often replace Ms with Bs at the start of words - Bolly, Bonkey, Bouse for Molly, Monkey and Mouse for example). We had seen some progress at her weekly sessions but nothing earth breaking. Another work she had never said is milk, instead saying back (yep we have no idea why either). She flat out refused to say milk no matter what we or the speech therapist said. So imagine how shocked I was when I asked her what she had to snack - toast and milk mummy! I was shocked. I then asked her a few more questions that required her to answer with her m words that she struggled with and she got each and every single word right. Three hours at nursery and she has never said any of these words wrong again. She actually was discharged from speech therapy that week, something the speech therapist said she never imagined would ever be possible. Now a few weeks into nursery and I can see her coming on leaps and bounds. Other than slow with speech she has always been a bright wee soul and I quite honestly can't keep up with how well she is coming on. 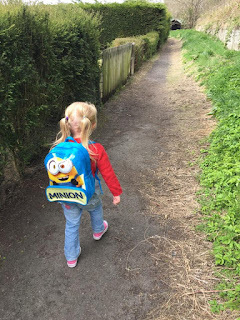 It is quite possibly the best thing we could ever have done for her and I am so glad the time has come for her to go to nursery. She was well past needing the extra stimulation of this educational setting. I am just glad it is only for 3 hours a day as I miss her terribly when she is gone but seeing her delight about being there, her stories of all the friends she is making and her desperation to go back makes up for all my sadness at seeing her growing up far too fast.